See how Ginnifer Goodwin is so good about red-carpet skincare prep? I got into the TIFF spirit with an Oxy Trio Treatment medical-grade facial at Glow Medi Spa in Yorkville. Here's what it is, what it does and how my skin reacted (with joy). Before I get to the Oxy Trio facial that made my skin great for four weeks (truth), let me gush about Ginnifer Goodwin. The actress is one of my favourite red-carpet celebs because she&apos;s more than just pretty. Ginnifer Goodwin is interesting. She makes marvelous choices when it comes to her wardrobe and beauty -- remember this fantastic turquoise eye makeup? 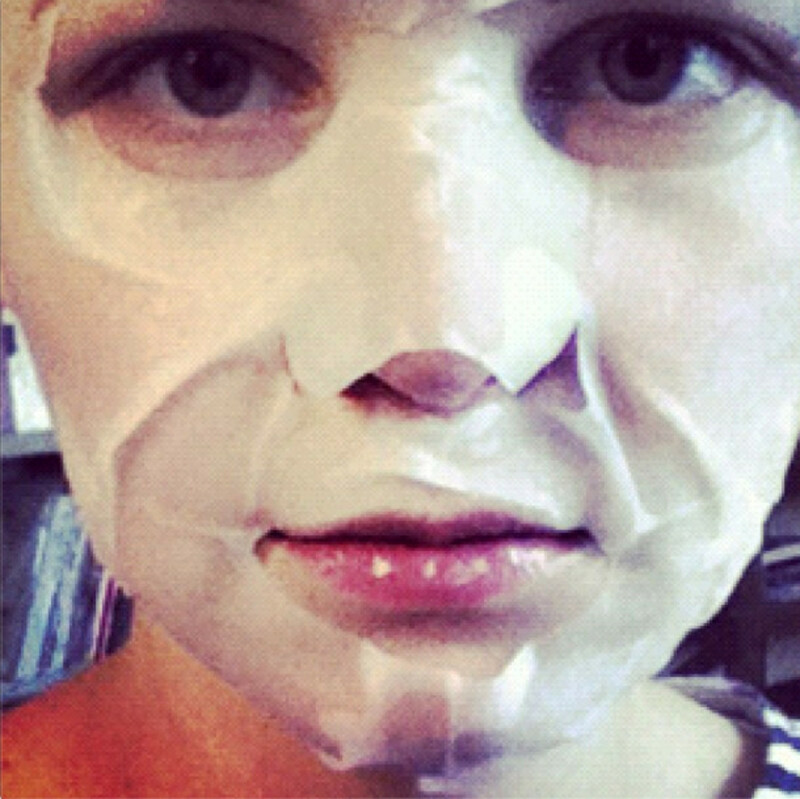 And she&apos;s down with red-carpet-prep skincare, as she shows in the image below, which she tweeted the day before the Emmys. The Beautygeeks team is fond of fabric face masks too, (Liza and I particularly heart Olay Professional Pro-X Intensive Treatment Masks and Neostrata Moisture Rescue Sheet Masks), but when TIFF began, I opted instead for the Oxy Trio treatment facial at Glow Medi Spa in Yorkville. It&apos;s not really fair to compare a simply hydrating mask to a dermatalogical service, but I&apos;m way older than Ginnifer and all her youthful collagen. I need something more involved that delivers results that might last more than 24 hours. Glow Medi Spa owner and medical director Diane Wong is a steel trap when it comes to her client list. All I could find out is that many of Toronto&apos;s more visible personalities are fans of the Oxy Trio facial, which claims to "oxygenate" skin and leave it glowing for one to four weeks. The short explanation of the Oxy Trio facial is this: it smooths skin and increases the blood circulation at the surface. A combination of peels and hydration, it&apos;s controlled inflammation that makes the complexion look glowy and young. The Oxy Trio facial isn&apos;t the most comfortable. Expect occasional light stinging from the stimulating and exfoliating ingredients. And your skin will be really rosy when you leave. But the next day and maybe for four whole weeks, expect your skin to look wonderful. Mine did. I was so happy with my complexion that I cut a step from my routine: foundation. I&apos;ll book an Oxy Trio facial again, probably when I&apos;m sick of life-sucking winter. Nicer skin will make me feel like I&apos;m kicking winter&apos;s ankle. Now you can stop reading if you like. The stuff below is just all the geeky details about the Oxy Trio facial ingredients and stuff. The Oxy Trio facial is categorized as a "medical-grade" treatment. That means it&apos;s not quite as pampering or relaxing as a spa facial can be. Instead it&apos;s about quite active ingredients, and sometimes a little sting as exfoliating ingredients go to work. The first part of the Oxy Trio facial is an exfoliating mask that includes fumaric acid and niacin to get the circulation going. My skin was a bit on the sensitive side (and I&apos;d accidentally exfoliated in the AM), so Gabriela started me off with a PCA Therapeutic Oat Milk Mask, a more gentle formula. The second part of the Oxy Trio facial is the "detoxifying" stage, a massage treatment that incorporates Hydrolyzed Candida Saitoana Extract, a yeast derivative that boosts the skin&apos;s own detox process, says Dr. Wong. 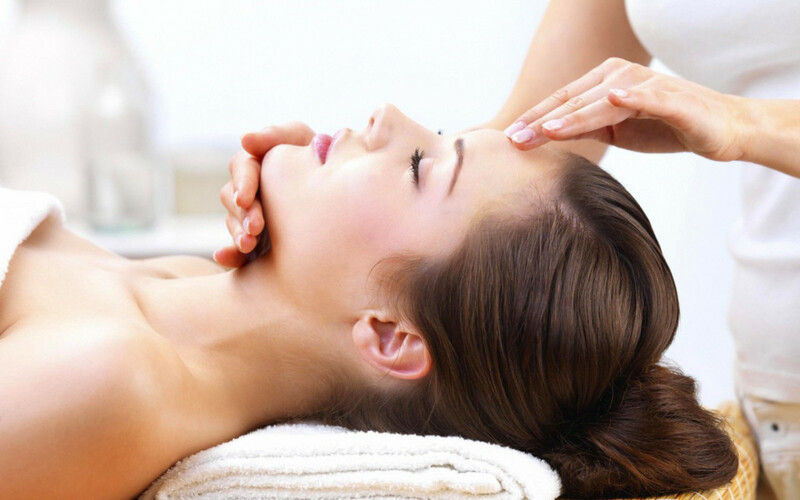 The third part of the Oxy Trio facial is all about stimulating oxygen circulation. The mask/massage features low doses of hydrogen peroxide, lactic acid, retinyl palmitate, salicylic acid and glycolic acid, which, Dr. Wong points out, are also great for treating and purifying acne-plagued skin. I can&apos;t lie -- I felt a bit of sting. It was uncomfortable. But the final step in this part is a facial massage with a calming, antioxidant-rich hydrating gel, which soothed my skin very quickly. I was warned my skin would probably be red after the treatment; it was. But I felt no discomfort post-facial, and the redness faded within a few hours. And in the weeks that followed the Oxy Trio treatment, my complexion was smooth, bouncy, and -- well, radiant. Without makeup. My skin hasn&apos;t looked that great since I was working out nearly daily, eating super healthily, drinking tons of water, and regularly getting a minimum of eight hours of sleep. I loved the results I got from this Oxy Trio treatment -- it&apos;s not quite as hydrating as the Intraceuticals Oxygen Facials Madonna loves so much (I love them too), but the results last much longer. Olay Professional Pro-X Intensive Treatment Masks, $29.99/5 masks at well.ca, or $34.99 sale for 5/masks + full-size serum at well.ca; Neostrata Moisture Rescue Sheet Masks, $40/8 masks at drugstores and neostrata.ca; Oxy Trio Treatment at Glow Medi Spa, $175. Ginnifer Goodwin&apos;s hot Emmy red-carpet makeup was mark., expertly applied by the super-talented Mai Quy, who did Kristen Stewart&apos;s TIFF makeup. 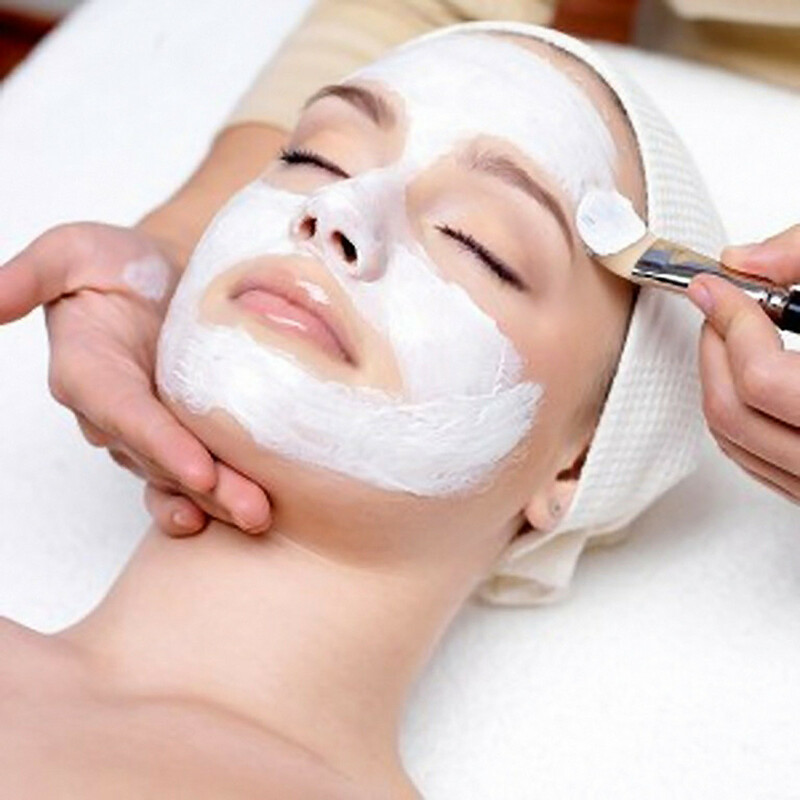 Bridal Beauty: Should I Have a Facial for My Wedding Day?